Got my order and tried it immediately. 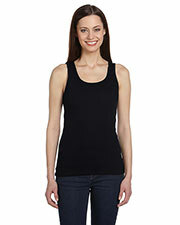 It’s comfy, love this quality rib tank! In short, comfortable top for workout and casual occasions! Washed it twice, I doubted that it might get shapeless because the fabric is thin and light weight, but it is still the way it was when I bought it. I am happy to have such an amazing quality tank top.